Basseterre, St.KItts (January 1st 2016):- Noted Medicinal Chemist, Researcher, Medical Doctor and Georgetown University Professor Dr. Milton Brown is the keynote speaker for the Janaury 2nd 2016 Prime Minister’s Gala hosted by St.Kitts-Nevis Prime Minister Dr. Timothy Harris . 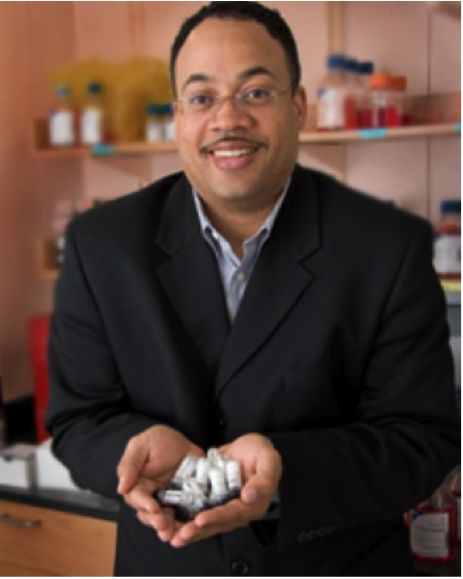 Dr. Milton Brown specializes in the design, synthesis and evaluation of new drugs. Dr. Brown is recognized as one of the top translational drug discovery scientists in the US today. Dr. Milton L. Brown has a Ph.D. in synthetic chemistry from University of Alabama at Birmingham and an M.D. from the University of Virginia. He holds the von Matsch Endowed Chair in Experimental Therapeutics in the Department of Oncology at Georgetown University Medical Center and is an executive member of the Lombardi Comprehensive Cancer Center. He established the Drug Discovery Program (DDP) at Georgetown, which supports more than 20 investigators in drug discovery and development. As an experienced leader in establishing Academic drug discovery centers, Dr. Brown has more than 15 years of experience in developing new drugs in the fields of cancer and neuroscience. Brown has positioned the DDP at the interface of chemistry and medicine to help facilitate the translation of basic science into new medical therapies. Under Dr. Brown’s leadership, the DDP was selected as a Chemical Diversity Center in the National Cancer Institute’s Chemical Biology Program. Dr. Brown has given more than 80 invited lectures in the United States, Europe and China on drug discovery and development topics. Brown is presently scientific advisor to the Chinese Medical City (Taizhou, Jiangsu, China) and a consultant with several biotech companies and one major pharmaceutical company in the area of medicinal chemistry and drug discovery. He is the Director of the Georgetown University Drug Discovery Program and holds professorships in Oncology and Neurosciences. He is a member of the Specialized Center of Research sponsored by the Leukemia & Lymphoma Society. Dr. Brown was awarded the UNCF/Merck Postdoctoral Science Research Fellowship in 1999 when he was at the University of Virginia in the Department of Chemistry. He was appointed to a faculty position in that department in 2000. Tickets for the inaugural event under the leadership of Prime Minister Dr. Timothy Harris have been totally sold out. 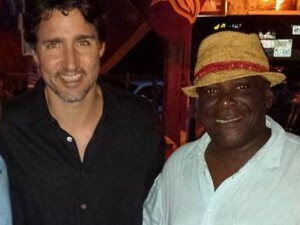 It is the first time that a Prime Minister’s gala has sold out. Attendance is by ticket only .